Published by Adam & Charles Black, Ltd. 4, 5 & 6 Soho Square, London 1922. 1922. Hard back. 24 full page pencil illustrations. Spine edge covering missing and in near Very Good condition. Member of the P.B.F.A. 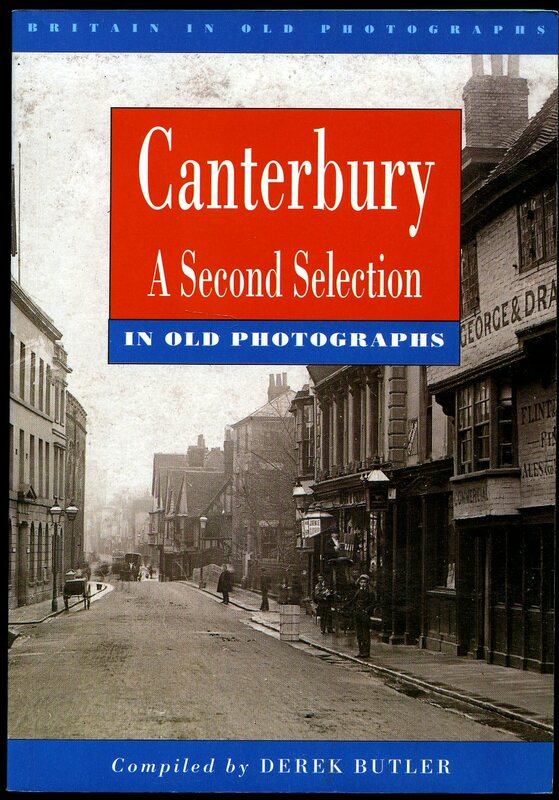 Published by A. G. Butler, 15 Nackington Road, Canterbury, Kent First Edition circa 1996 not stated. 1996. Published by B. T. Batsford Ltd., London First edition 1950. 1950. 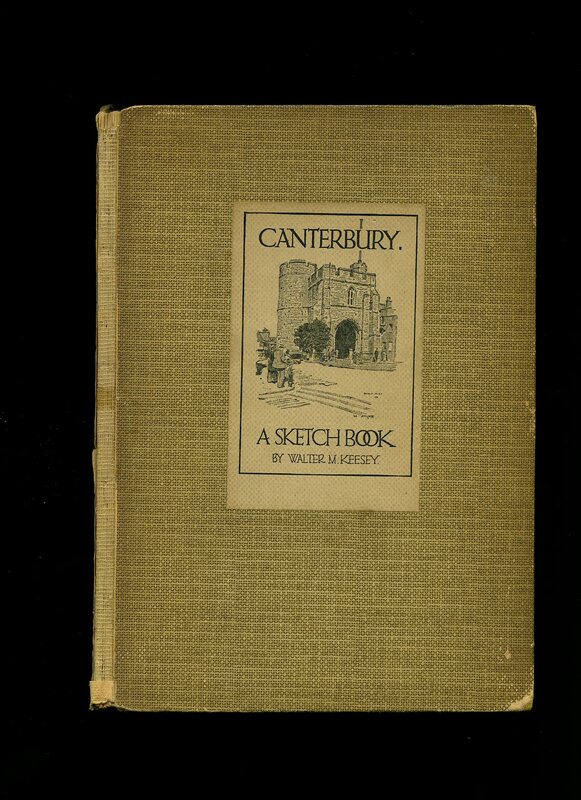 First edition hard back binding in publisher's original cloth covers, lettering to spine. 8vo 88 pp. Nr. Fine in Very Good dust wrapper with light foxing to covers, not price clipped 8s 6d. Dust wrapper supplied in archival acetate film protection. Member of the P.B.F.A. Card wraps. 8 pp. 125 mm x 185 mm. 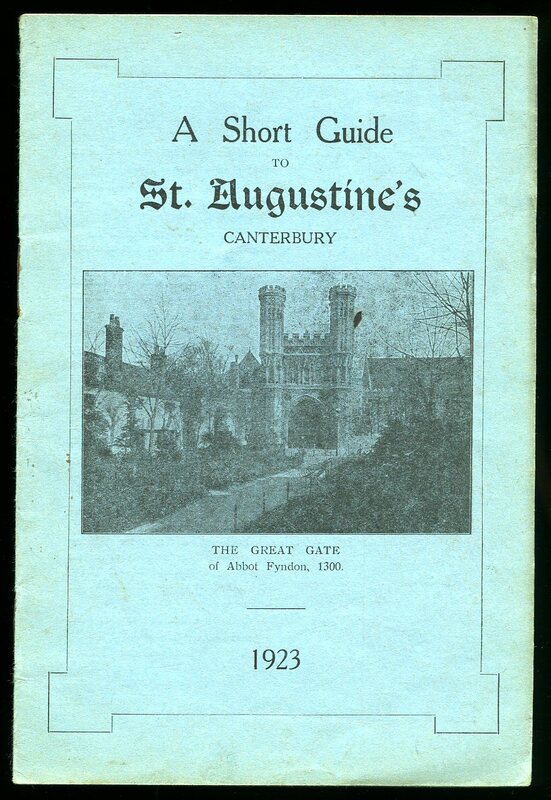 Illustration to front cover of The Great Gate of Abbot Fyndon 1300. In Very Good condition. Member of the P.B.F.A. Thomas Becket (also known as Saint Thomas of Canterbury, Thomas of London, and later Thomas à Becket (21 December c. 1118 - 29 December 1170) was Archbishop of Canterbury from 1162 until his murder in 1170. He is venerated as a saint and martyr by both the Catholic Church and the Anglican Communion]. 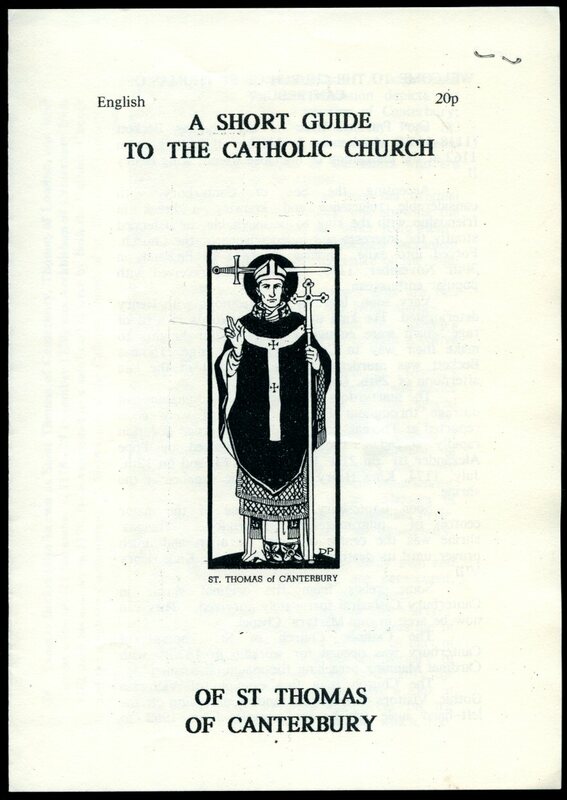 8½'' x 6'' four sided pamphlet. In Fine condition. Member of the P.B.F.A. 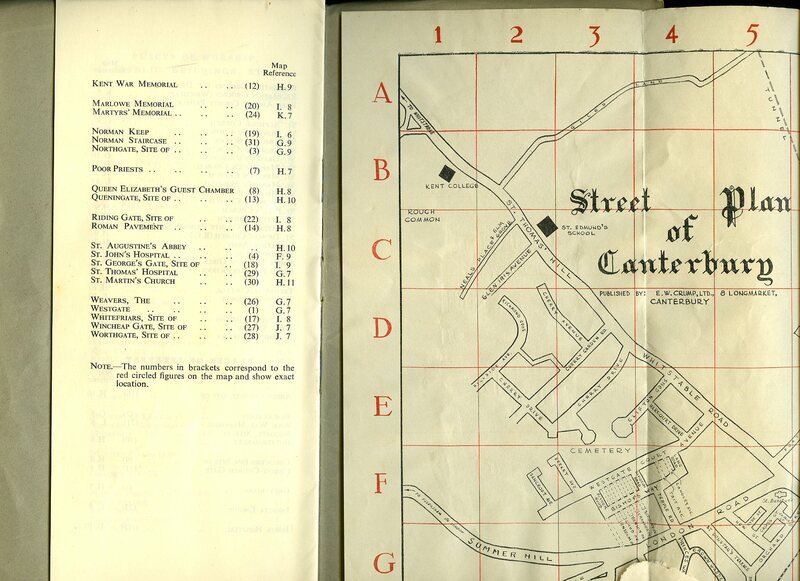 1955 Kelly's Directory of Canterbury [Buff Book] and Neighbourhood (Incorporating Pike's Blue Book) | Comprises Street Section, Private Residents Section, Commercial Section, Trades Section, and Official Information for 1955 (30th Edition). 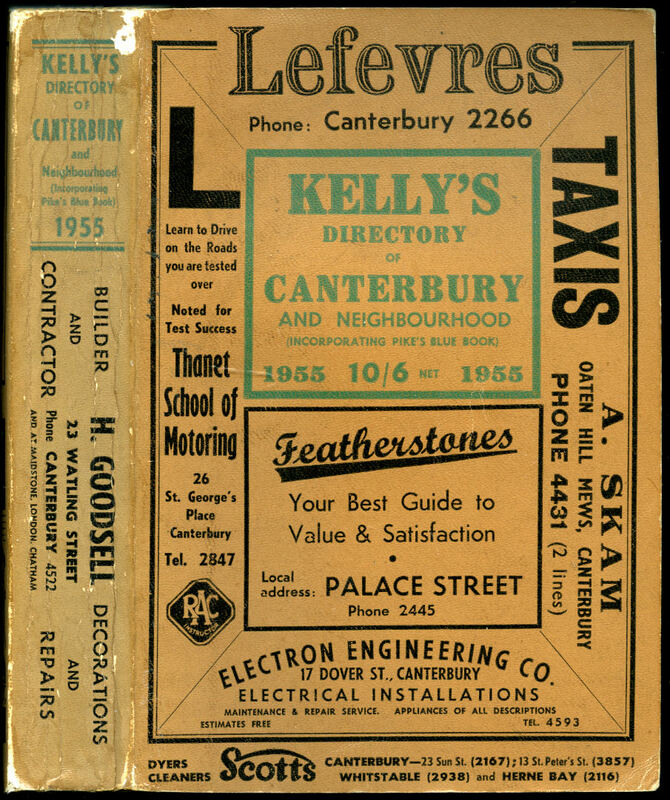 Published by Kelly's Directories Ltd., 186 Strand, London 1955. 1955. Publisher's original buff brown card wrap covers [soft back] black title lettering and advertisements to the spine, front and rear covers and page edges. 8vo. 7'' x 5''. Contains [ii] 396 printed pages of text with monochrome advertisements. In Very Good clean condition. Member of the P.B.F.A. Published by Thompson & Hannibal, Broadway, Petham, Canterbury First Edition 1988. 1988. First edition in publisher's original illustrated card wrap covers [soft back]. 8vo. 8½'' x 6''. Petham is a rural village and civil parish in the North Downs, five miles south of Canterbury in Kent. 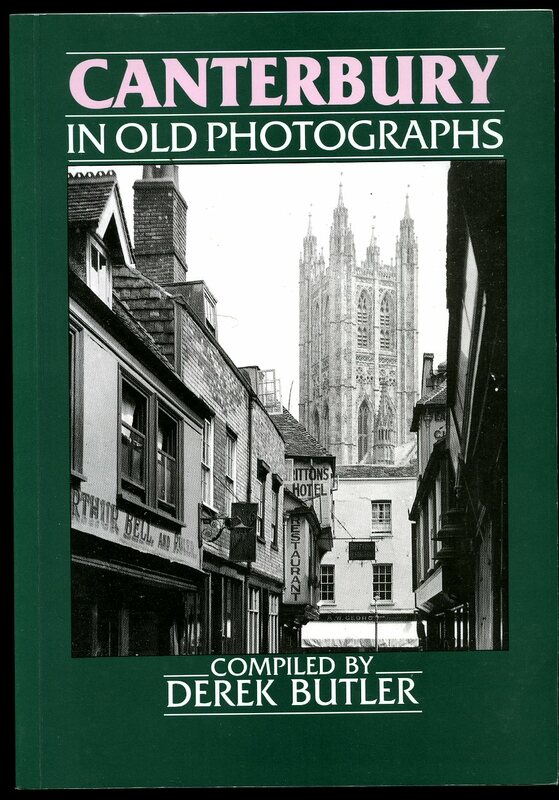 Contains 51 printed pages of text with archive monochrome photographs and maps throughout. In Fine condition, no dust wrapper as issued. Member of the P.B.F.A. Published by Lambarde Press, Sidcup, Kent First edition 1963. 1963. First edition hard back publisher's original light olive cloth covers, gilt stamping to upper panel. 4to 9½" x 7¼" 80 pp. Eighty monochrome photographic illustrations on glossy paper. In very Nr. Fine condition. Member of the P.B.F.A. 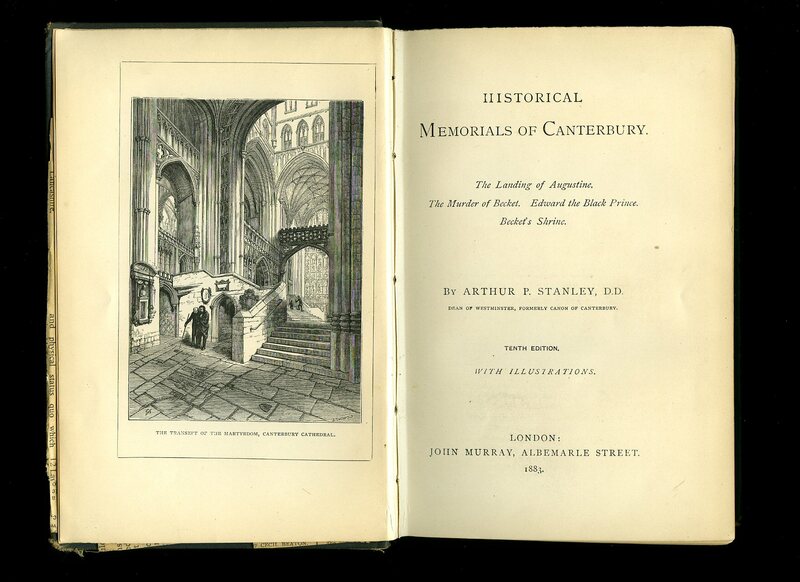 Published by John Murray, Albemarle Street, London Tenth edition 1883. 1883. Hard back publisher's original green cloth covers, gilt stamping to spine, edges untrimmed. 8vo 7¾" x 5¼" 302, 32 [pp] catalogue. Ten illustrations, fold-out plan. 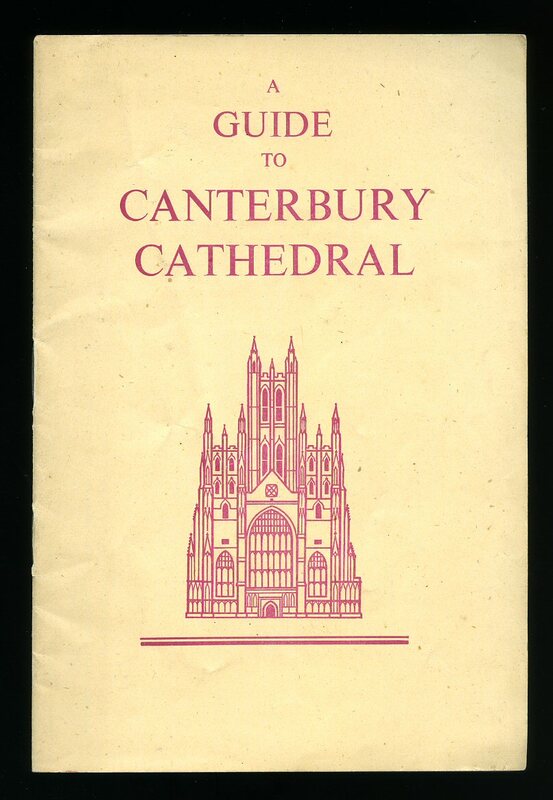 Rubbing to spine ends, various newspaper clippings, concerning Canterbury Cathedral, tipped to end papers. Member of the P.B.F.A. 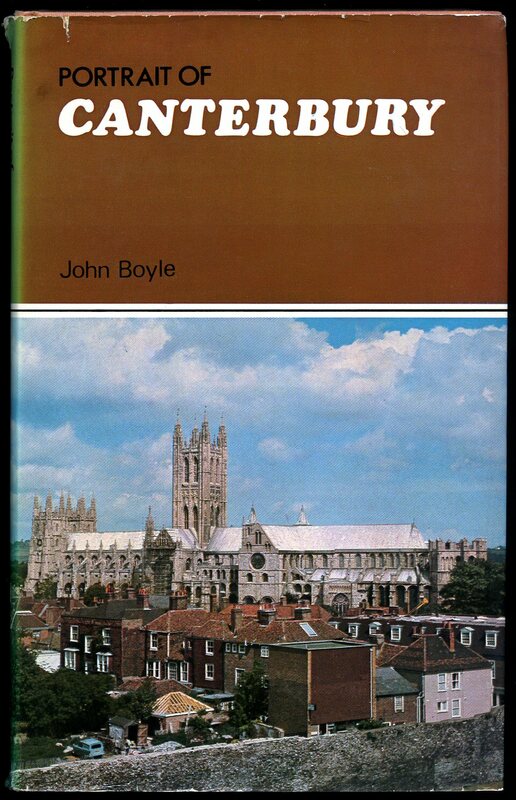 Published by Robert Hale Ltd., Clerkenwell House, Clerkenwell Green, London First Edition 1974. 1974. First edition hard back publisher's original terracotta cloth covers, gilt stamping to spine in brown title block. 8vo 8¾" x 5½" 192 pp. Monochrome photographic illustrations on glossy paper. Very Nr. Fine in Very Good dust wrapper with light abrading to spine tips and corners, spine slightly faded, price clipped. Dust wrapper protected. Member of the P.B.F.A. 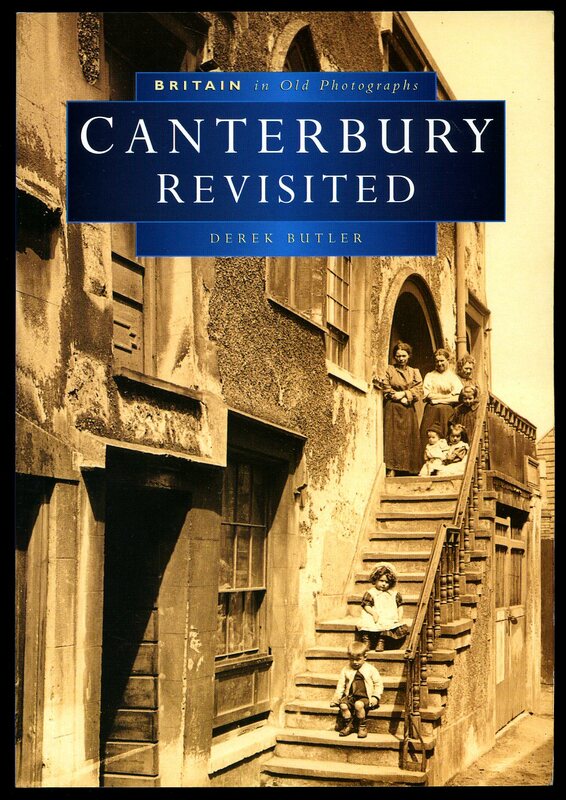 Published by Alan Sutton Publishing Limited., Phoenix Mill, Thrupp, Stroud, Gloucestershire First Edition 1997. Stroud 1997. First edition in publisher's original illustrated laminated card wrap covers. 8vo 9½'' x 6½'' 128 printed pages of text. ISBN 0750913606. Archive monochrome illustrations throughout. In Fine condition, no dust wrapper as published. Member of the P.B.F.A. 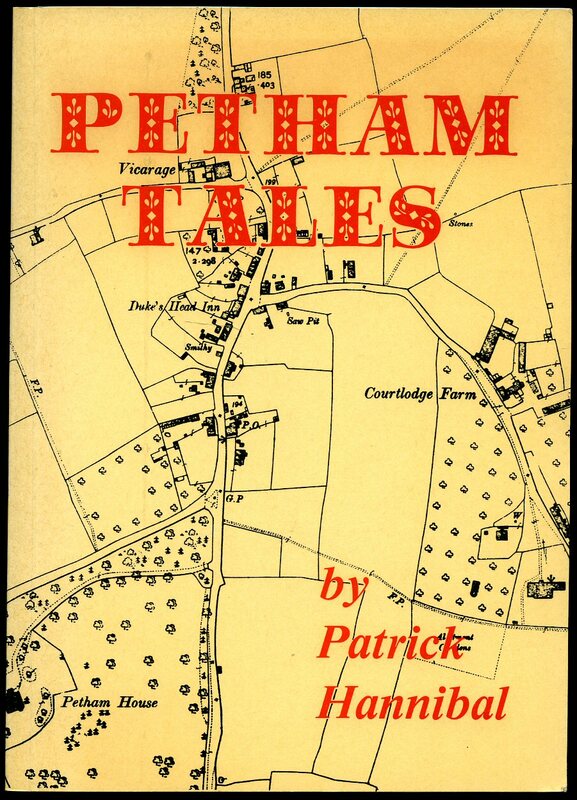 Published by Alan Sutton Publishing Limited., Phoenix Mill, Thrupp, Stroud, Gloucestershire First Edition 1993. Stroud 1993. 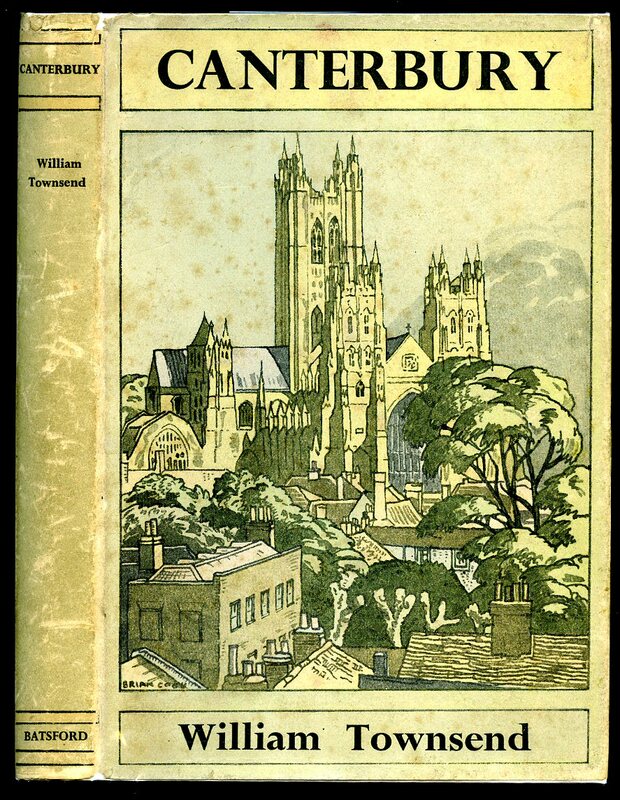 First edition in publisher's original illustrated laminated card wrap covers. 8vo 9'' x 6'' 160 printed pages of text. ISBN 0750903937. Archive monochrome illustrations throughout. In Fine condition, no dust wrapper as published. Member of the P.B.F.A. 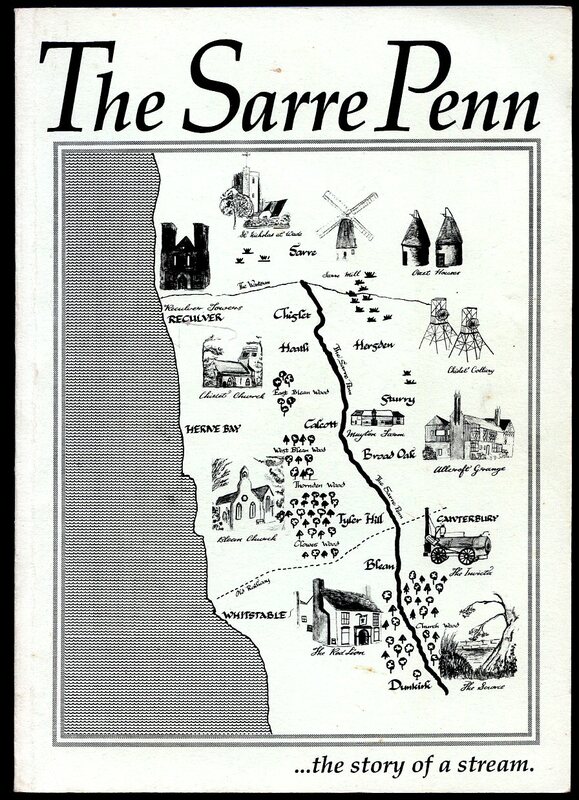 Published by Alan Sutton Publishing Limited., Phoenix Mill, Thrupp, Stroud, Gloucestershire First Edition 1989. Stroud 1989. First edition in publisher's original illustrated laminated card wrap covers. 8vo 9'' x 6'' 160 pp. ISBN 0862996545. Archive monochrome illustrations throughout. Message inside the front cover and in Fine condition, no dust wrapper as published. Member of the P.B.F.A. 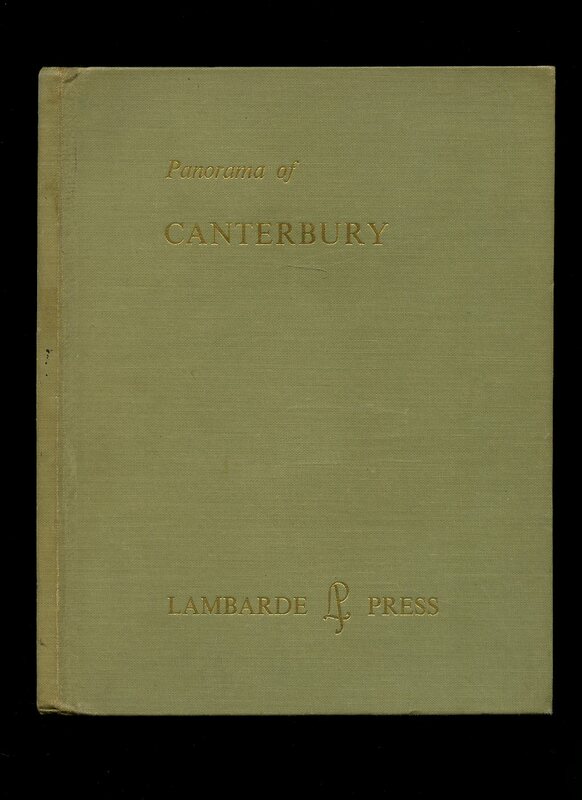 Published by E. W. Crump, Ltd., 8 Longmarket, Canterbury Second edition 1954. 1954. One sided fold-out map in card covers. 18" x 22". In Very Good condition. Member of the P.B.F.A. Published by The Dean and Chapter 22nd Impression circa 1950 edition. 1950. Publisher's original stapled ivory paper covers, cerise stamping to upper panel. 8vo 16 pp. Four monochrome photographic illustrations on glossy paper. In Very Good condition. Member of the P.B.F.A.